Are Weaves OK for White Girls? Some White Celebs with Hair Extensions! Hair extensions are an African American way of adding length, volume and color to women’s hair. 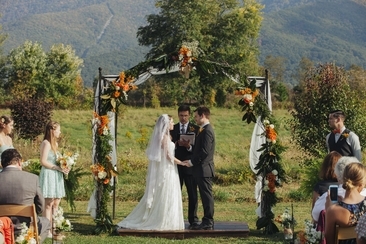 These days many white girls are opting for hair extensions, especially for a perfect wedding look. Hair extensions for white girls are not as simple as those for the colored girls. Most of the hair extensions are sourced from South Asia, with hair that is thick and coarse in texture (especially after dying). White girls’ hairs tends to be silkier and thinner in texture. So, sometimes it gets quite tricky to get it done correctly. This guide will help the white girls in finding the best extensions method for them. Hair extensions are the easiest way of adding length to shorter hair. Additional human or synthetic hair are incorporated to achieve this goal. Many south Asian countries, especially India, are the biggest providers of human hair for extensions. Made with synthetic fibers, they exactly look like human hair but do not contain any of real hair. Synthetic hair extensions are suitable for short term use, as these are easily affected by heat and friction. These come with cheap prices, but they also come with less styling options. These hair extensions for white girls need extra care, otherwise these may get tangles and knots. You can face issues like hair damage and bald spots if extensions are not removed carefully. 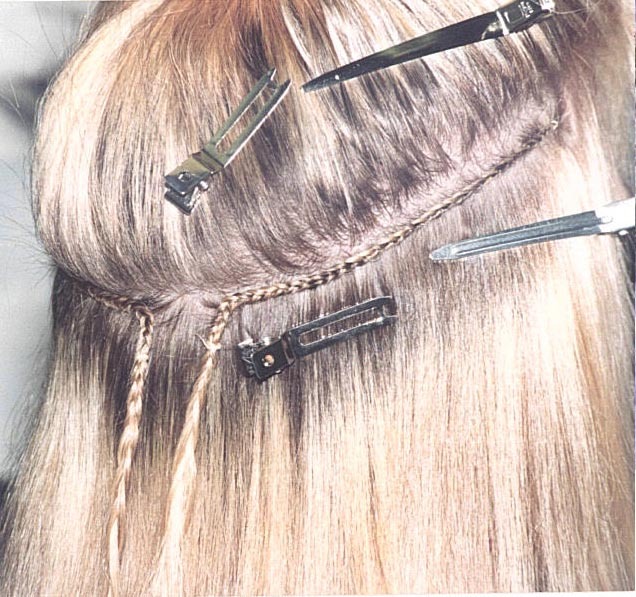 It’s a temporary option where hair extensions are added in your scalp with the help of clips. 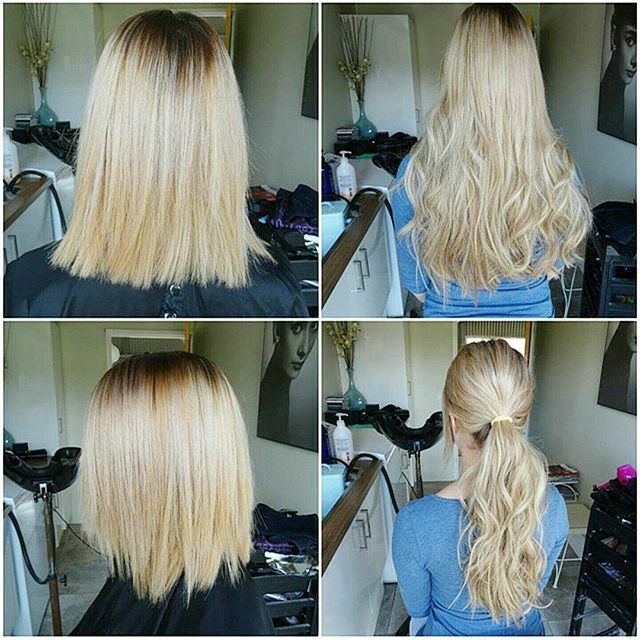 Made from remy human hair, clip-in hair extensions are not for girls with thin hair. Thin hair is not able to bear the strain of these clipped extensions. These extensions are easily colored, washed, curled and straightened. Above all, this method is cheaper than others. Fusion extensions may last as long as 6 months. This method works two ways: hot fusion method and cold fusion method. The hot fusion method uses hot glue to fuse the extensions with your hair’s strands. The cold fusion method functions using a keratin-based polymer binding. Ultrasonic waves are used to soften the keratin effect. Its installation takes quite a bit of time. You may face natural hair falling out if you do not maintain it properly and keep these extensions for more than 6 months. Fusion extensions cannot be reused. These are not easily removable. Additionally, they are a pricey option. Tape in hair extensions are perfect for thinner hair. These extensions are light in weight so they cause no damage to your hair. It’s a simple method that requires no chemicals for installation. Made with human remy hair, tape in extensions are easily colored, highlighted, ironed, curled even reapplied. We recommend these hair extensions for white girls. Double-sided tape is used to attach wefts of hair to small sections of your natural hair. All you need is an experienced hand. The full head process would cost you about $1,450 or half the head for around $800. The price depends on the amount of the hair you are opting for. In this method, wefts of hair are woven (with thread) onto the braids of your natural hair (which is braided in rows from ear to ear). It follows a process that takes about 4 to 6 hours. Weaves normally last from 6 to 8 weeks. You can choose between a weave with a few tracks as well as full head weave for a fuller look. Is it ok to go with sew-in weave hair extensions for white girls? The answer is yes! Sew-in extensions for white girls are a bit complicated. But, they offer long lasting results if done by professional hands. But, so many times we have seen white girls complaining about these extensions coming off sooner than the time they expected them to last. Getting these braids done by an African American saloon may give you better results as they are more experience with braids and extensions. Both half head weave or full head weave can be tried. It is totally up to you. It takes about three to four hours for the whole process. To get the best result, we recommend to use the best quality extensions for your hair because they will be more manageable in terms of knots and curls for each day. Saloons charge more for weaving. Buying your own strands of extensions before going to saloon can save you some bucks. Note: The braids should not be tied too tightly, as it may cause you ailments like soreness on the scalp or headaches. 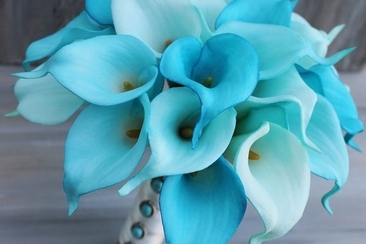 These are not suitable for thinner hair. 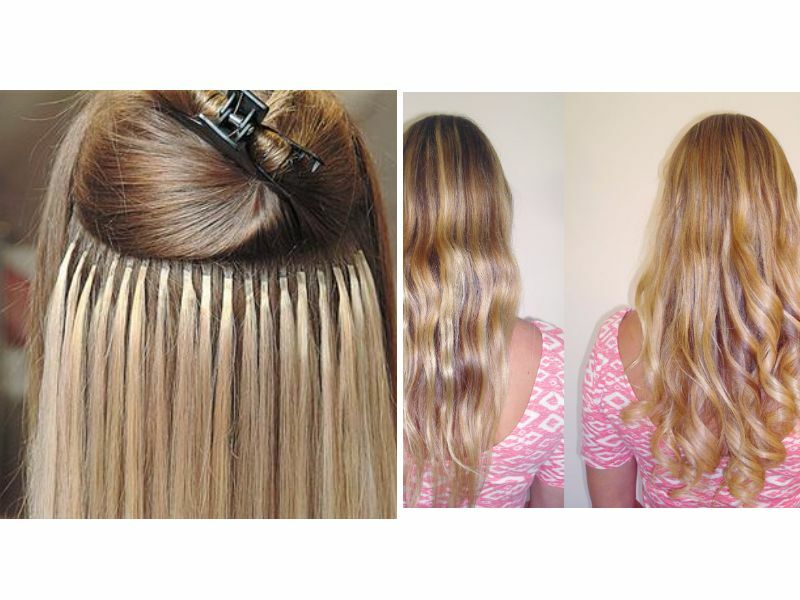 The cost of hair extensions starts from hundreds and ends with thousands of dollars. And, this is without including the amount of monthly maintenance expenditures. Cheaply priced hair extensions are available too, but these are lesser quality. Once you have opted for hair extensions, you must visit your saloon once a a month for maintenance. Brush gently and daily to avoid knots. The best way is to slightly detangle the hair is to brush from ends up to the extensions, to keep the brush from getting stuck in your braids. Do not wash your scalp in vigorous rounded movements like you did previously. Instead, applying softer movements is highly recommended. Do not use oily products in your hair to avoid the slipping of these extensions. Use your fingers first to get them dry. Avoid making excessive use of hair conditioners or other hair products as these may weigh them down. Only use a sulfate-free shampoo. Do not roll up your hair in the towel after washing them. Give your hair a break after every six months. Otherwise you may experience a severe kind of hair damage. To all the white girls who want extensions, we recommend you find the closest match to your natural hair type. Once you have found the best matched hair extensions, dye your whole hair that same shade. Do not buy the extensions that are too shiny because these are coated with silicone, which will ultimately wear off leaving dull and dry extensions. The best place for adding extensions is where your hair is strong enough to bear the strain (avoid hairline and back of the neck). Hair extensions for white girls are getting quite trendy. Here are a few white celebrities that carried hair extensions elegantly. She wore hair extensions some time back. These long locks (unlike today), suited her a lot. She not only has hair extensions, she also owns a brand of hair extensions. This Kardashian sister is always seen with her fuller and voluminous hair extensions. Many times she has been rocking her shows with her long extended hair locks. She experiments the most with her hair extensions in term of length and colors. Look for bridesmaid dresses to match a lace wedding dress? The delicate fabric can clash with a lot of other materials. Here are some tips and great choices of bridesmaid dresses to match any lace gown. 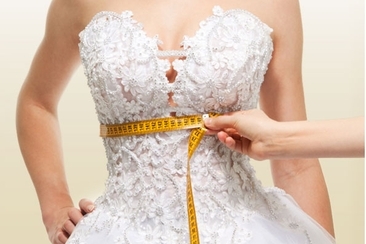 Do you tip for alterations? Some people consider it good and for some, tipping is an unnecessary practice. Let’s see what kind of tipping etiquette you can follow or avoid.